Electric Bike Hire delivered to you in Cornwall! Top quality -electric bikes for hire from Kalkhoff are now available for touring and exploring all parts of Cornwall. We have spent a great deal of time researching and meeting with electric bike manufacturers to ensure we offer the best possible electric bike hire, suitable for our beautiful Cornish terrain. We have been very specific about what kind of electric bike hire we want to offer and believe we have found the answer. 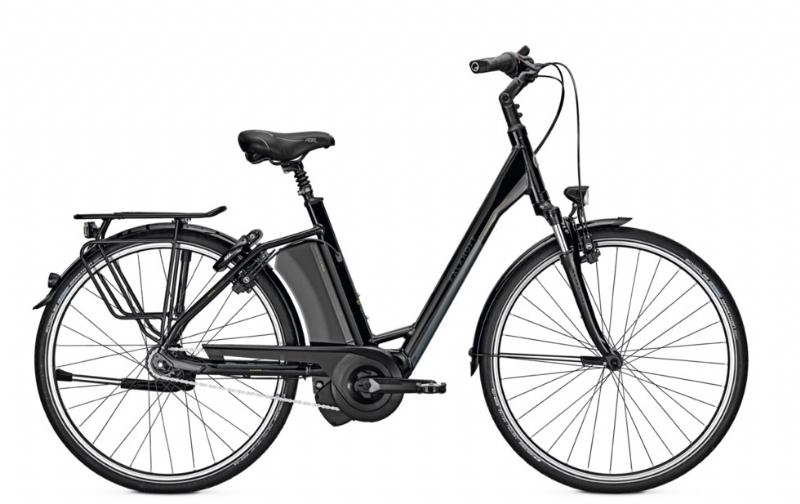 The Kalkhoff Select i8 electric bike is suitable for touring or day trips and has a battery range of 93 miles. We are however, in Cornwall, and with our hilly countryside we suggest up to 50 miles per charge when tackling some of our more scenic routes. 50 miles is more than most will want to travel in a day when touring Cornwall on an electric bike. The power modes are easy to use with a gentle boost to ease cycling to a power boost which will get you to the top of any hill (you will still need to peddle!). The bikes are extremely comfortable, reliable and already popular with our touring partners. There is a power assist setting to use when pushing the bike and a gear system which allows you to put as much effort in as you like. We would highly recommend the Kalkhoff E-bike for all ages as it enables you to cover much more area without exhaustion and are a huge amount of fun. Call Paul today to hire an electric bike in Cornwall.